This entry was posted on September 18, 2018 by Amberley Publishing. Well, after nearly forty years of getting up at 04:50, or sometimes earlier, and arriving home at any time around midnight off a late shift or being called out in the middle of the night, I thought retirement might bring some rest and leisurely days, but alas dear reader, that appears to not be the case. Compiling and writing a book of any size or layout, whether it be fiction or non-fiction, is not something that throws itself together overnight. However, when the subject is close to my heart and beliefs, the task at hand becomes so much easier. I have a lifelong interest in all things transport, including many years studying railway accidents and incidents that have led to the signalling systems and rules we use today. I have also been very fortunate to work in an industry which is both my hobby and my career, and for the most part it has been an absolute pleasure to go to work every day, even though that meant thirty-eight years of unsociable shifts, early starts and late finishes, though a quarter century of working in Cornwall and Devon as both Signalman and Supervisor was a privilege. I do feel though that changes in recent years within the industry have fragmented the ‘big family’ that was once BR. Born in an age of steam, I well remember the transition from steam to diesel and electric and was fortunate enough to see steam to its demise in August 1968, Stockport Edgeley (9B) being one of the very last steam sheds. As a child I watched named trains, with named locos, thunder past my school, and at weekends or school holidays I watched the Woodhead Electrics at Reddish, the trolleybuses in Manchester, or Pacific’s on the West Coast or Crewe, making the journey there by either steam train or pre-war bus. Ironically, travel seemed easier in those distant days from our past, several decades ago. Aside from there being more trains to more locations, the lack of restriction of travelling alone in one’s younger days did not impinge on the more adventurous of us that struck out to locations that could only be dreamed of now by anyone of a similar age. I say ironically, because unlike today, with our modern communications, when one left home for an adventure in the 1960s, even as a twelve or thirteen-year-old, you had little chance of contacting your parents unless you used a public phone box, and assuming home actually possessed a telephone. 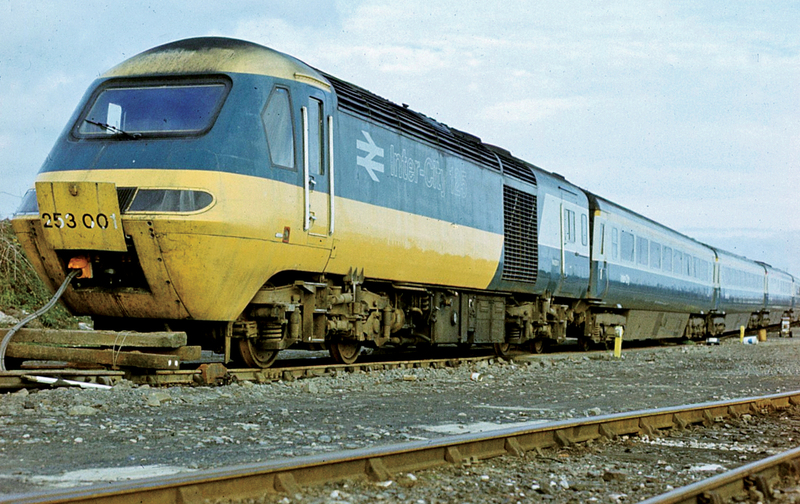 This collection of photographs depicts many of the traction types that were seen in their daily duties around the West Country during the 1970s and 1980s. Of course, at the time, they were common traction types and not thought of as anything unusual, but, like all things in everyday life, complacency creeps in and one just never thinks that this status quo of things is one day not going to be there. I can recall the same feelings about seeing Black-Fives, 8Fs, and WD locos in the 1960s, and just sitting waiting for a Jubilee, or Royal Scot, or Patriot, or Britannia, to name but a few. To be fair, when the ‘Peaks’ arrived along with the English Electrics (class 40) and names started to appear on some of them, they became nearly as exciting to ‘cop’ as a steamer. Of course, in those days, the names were as interesting as the locomotives, and the management of the time put a great deal of thought into the naming process. This generally still applied in the 1980s and it was only when privatisation got a grip did we start to see names that were both dubious and uninteresting, much like the monotonous and boring liveries that assault our senses daily. Whilst I accept that modernisation was desperately needed throughout the network, it has not happened everywhere and it is very much a post-code lottery of investment in technology and innovation, and many routes are still in the pre-BR era of rolling stock, signalling and infrastructure. At least the era covered by this book shows some variety of livery as opposed to BR corporate blue and the yet to come liveries of the private sector, but it is more about remembering the variety of traction still around in in the West Country during that period, and with it sometimes the audible cacophony accompaniment. People used to vilify BR, for its service, but having worked for BR, I can tell you that the service delivery shortfalls of BR pales into insignificance when compared to the abysmal service of the shambolic British railway we have today. In my day working as a Signalman and later as a Signalling Inspector and MOM, I can assure you that cancelling a train was a very last resort. 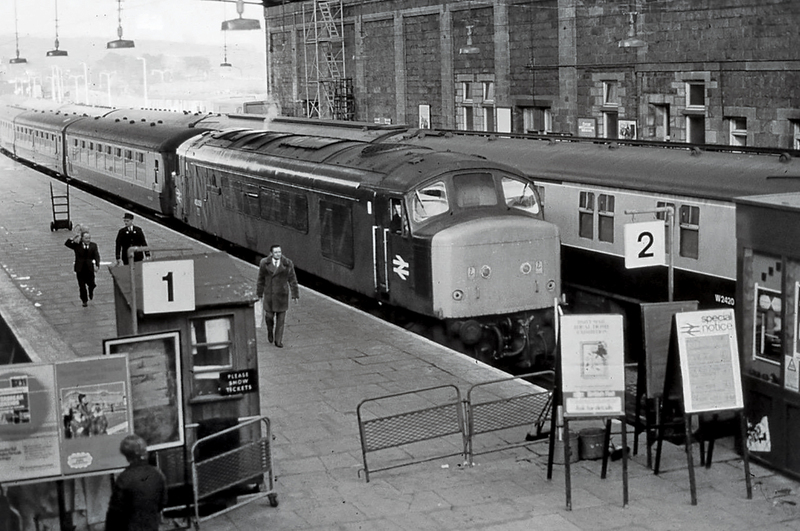 In general, the duty of all railway staff in those BR days was that the service will run if at all possible. It was considered a disservice to the public not to run a service and if a service was run late. Drivers and Signalmen in particular took pride in trying to get services back on time where possible. The photos in this book are not arranged in any particular order, so dates and locations are randomly arranged to try and keep the reader interested. David in particular, being a Cornishman, spent many days, weeks, months and years photographing trains within the Duchy. So, having said all that, here is my third book on Cornwall’s Railways. After much tapping of keys, extensive research, photo preparation and hundreds of hours writing and compiling the book, I hope you find it enjoyable, and that there aren’t too many mistakes. 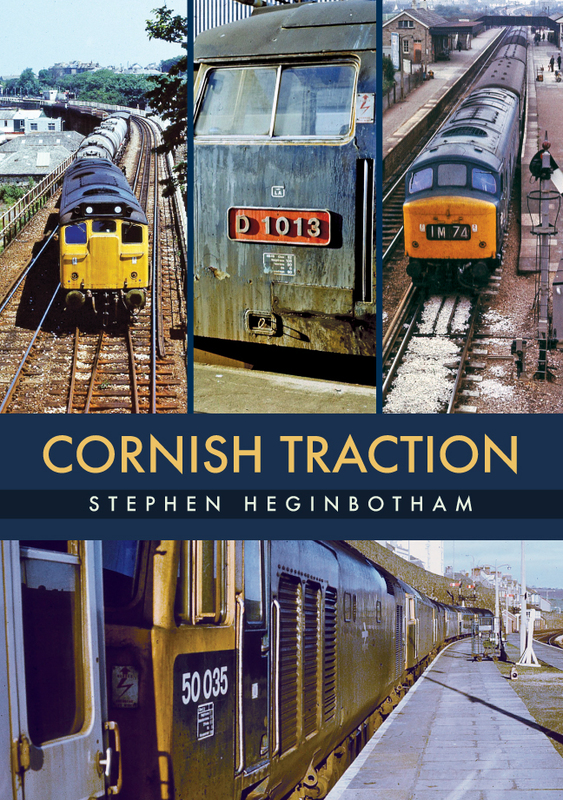 Stephen Heginbotham's new book Cornish Traction is available for purchase now.